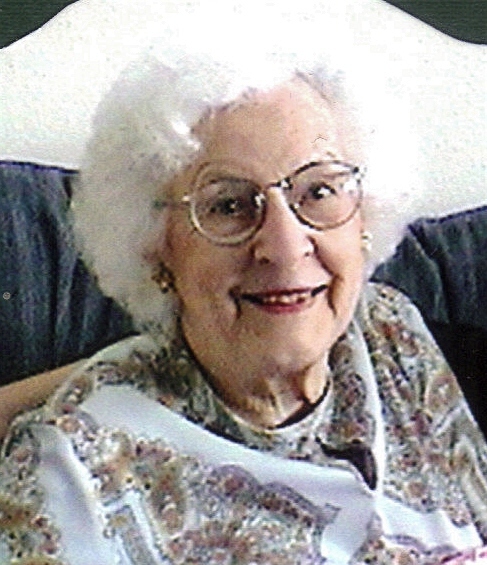 Marguerite Kettler died at her home in Sioux Falls on Sunday, October 13th. Marguerite was born in Minneapolis in 1913. She was the oldest of six children born to Walter Raiche and Marie Jolly. She attended Notre Dame de Lourdes grade school and St. Anthony High School before graduating from the University of Minnesota in 1935 with degrees in botany and zoology. As a child she suffered from a severe kidney condition that doctors thought would prevent her from surviving to adulthood. After a trip to see Brother Andre (now St. Andre) in Montreal when she was 16 years old her health improved dramatically and she always believe he had cured her. She taught high school for eight years, meeting the love of her life, another high school teacher, Norbert â€œJoeâ€� Kettler. They married in 1943 and moved to Sioux Falls after Joe returned from military service in Europe during WWII. There they raised their four children: Don, Jim, Beth, and Kath. Marguerite was very active in the Cathedral Club and other church activities. When her children were young she was a Girl Scout leader and also helped with many Boy Scout projects. She enjoyed playing bridge, sewing and continued to the end of her life to be an avid piano player. After retiring, Marguerite and Joe made several trips to Europe, the Holy Land, and around the World. Visitation is at the Cathedral of St. Joseph on Friday, October 18th at 5 PM with a Scripture Vigil at 7 PM. Mass of Christian Burial will be 10 AM Saturday at the Cathedral of St. Joseph. Memorial contributions can be sent to the Cathedral of St. Joseph.